He is continually being featured on radio and television shows, in newspaper and magazine articles, and videoconferencing presentations. Robin has travelled and spoken extensively; he has mastered the art of communication and uses his gift of understanding group dynamics, to deliver a powerful and life changing message. 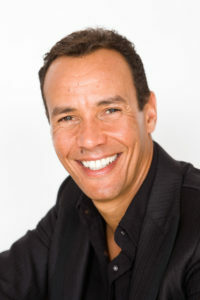 Robin’s most successful programmes are his “Success is a Choice” motivational presentation, the “Victim to Victor” programme and the four-week “Mind Power” course. His workshops and presentations have had an impact on the lives of more than 500,000 people throughout the globe in Corporate, NGO, Government, Educational and Public sectors.